We have a new sports hatch concept with great looks and commendable power hike. This time it’s the up gradation of MG3 introduced at the 90th anniversary celebration of MG. The MG MG3 Trophy Championship Concept 2014 gets a 100 hp more than its standard model and simultaneously creates a new benchmark for the sports hatchback market. 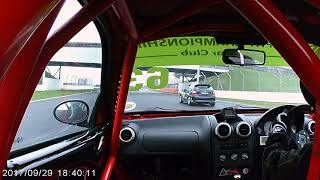 Let us not waste much of time and have a closer sneak at the review of MG MG3 Trophy Championship Concept 2014. 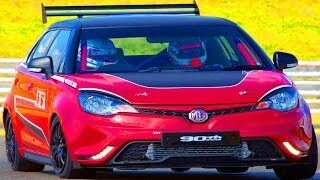 The outer look of MG MG3 Trophy Championship Concept 2014 gets round of upgrades but to achieve its final goal it has to reduce weight of the MG3 and to be mentioned company has commendably served the purpose. 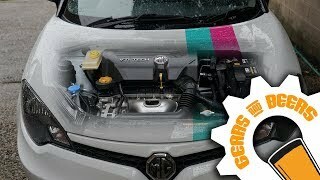 Reason behind this being major goal is, that no matter how powerful engine is housed till the time body weight isn’t reduced to the extent of perfection the target speed is difficult to achieved, no matter how much power is being produced that will all get waste in carrying your bulky car. After doing this MG took its next step and that’s increasing or say adding stars through robust looks. For this company added limited-slip differential, adjustable front splitter and Macpherson strut front setup all accompanied by a twin-plain adjustable rear spoiler. These ‘adjustable’ introductions looked like very well ‘adjusted’ the target company was looking for while creating MG MG3 Trophy Championship Concept 2014. This is what a sport car lover looks for, the power delivered by his sports charm. 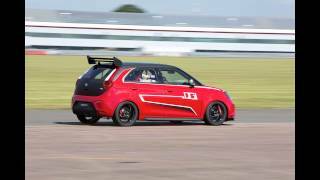 With its 1.5 Liter VTi engine delivering total output of 204 hp and peak torque of 260 nm, MG has very well managed to take the MG MG3 CHAMPIONSHIP CONCEPT 2014 lap ahead of its standard model, which used to deliver 100 hp and 124 nm less than these figures.